I decided I would watch the pilot for Christian Slater’s new vehicle on Fox, “Breaking In” and take notes as I went along. I will allow myself to look things up, but for the sake of purity of first impressions, I will not go back and watch it again before writing this. Please note that it is spoilery in nature, as it is my recap of the entire show. 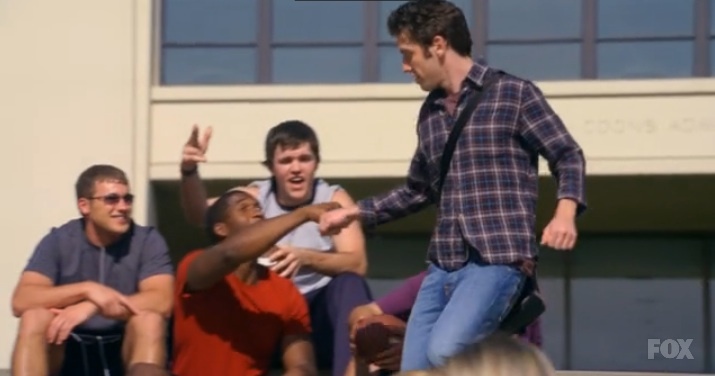 The pilot starts with a cool-looking dude (Cameron, played by Bret Harrison) walking around his college campus. The music playing is apparently “I Love College” by Asher Roth, but all I heard was “I danced my face off” which is a little bizarre. Anyway, you can tell this kid Loves College. He is fist bumpin’ guys, looking a hot co-eds over his sunglasses, the whole bit. He then meanders over to what appears to be the largest concentration of wooden benches I have ever seen on a college campus. He gives a dude a piece of paper revealing the password to the creative writing professor’s computer. I think the recipient of this slip of paper is from The Whitest Kids U’Know, Trevor Moore. We're cool college kids! Yeah! So Cameron goes into his dorm room and whaaaa?! 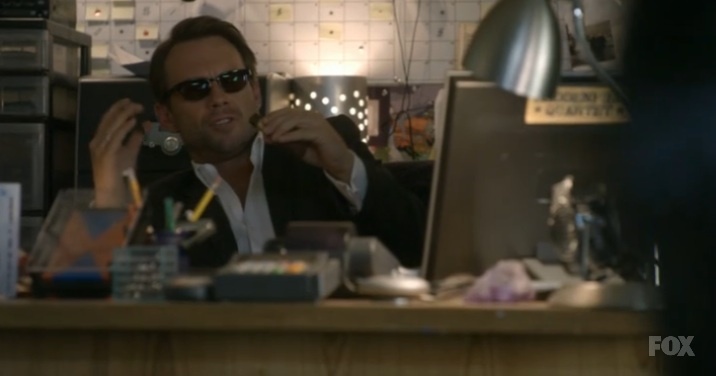 There’s Christian Slater, sitting at Cameron’s desk, smoking a cigar! How can you do that? So stinky and smoke-detector unfriendly! He explains his name is Oz and he runs a security company where people hire him to break into their companies to discover weaknesses and abate them, I guess. Some sassy pretty, mid-20s brunette is there too (played by Odette Annable), sassing Cameron along side Oz. And Trevor Moore is back, as he is Josh, an employee of Christian Slater, too, and was a plant in Cameron’s French class. I am pretty sure Christian Slater is wearing a rug. His forehead is as epic and shiny as we’ve grown to know and love over the years, but the hairline looks real weird. He also looks significantly younger than the last crappy TV show he was in that I never watched. With a forehead this massive and shiny, of course I wear shades All The Time. Within a few moments the entire origin story of the show materializes, being: Cameron is some kind of supergenius with computer hacking and manipulation, having hacked his way into college and full-boat scholarship, and two adjacent dorm rooms to himself (he said he was twins. Ok …. ), and Oz has blackmailed Cameron into being an intern at his company. What else has materialized is really abysmal joke writing. It is cheap humor, which thinks it is more clever than it is. Oz is supposed to be quick and witty, but comes off as someone pretending to be smart but actually using words they don’t understand the meaning of. The next day, presumably, Cameron goes to work at Contra Security. Which fits in nicely with last week’s podcast. Cameron comes in and is instantly accosted by his new coworker, the black MegaNerd. Except, that while he is dressed as Han Solo, making Wookiee noises and saying how excited he is about DragonCon, I just don’t buy it. He is too socially adept and, well, cool. He does not commit to the dorkiness, and so I find this character to be wildly unbelievable. Next follows a Family Guy-esque montage of hazing pranks that the blerd (actual character name: Cash) plays on Cameron that would impress both Jim Halpert and Dwight Schrute, as they are all over the top. Just like the blerd himself. If you like flashback or tangential montages, this is your show. They just keep on coming. And, as the episode goes on, the ridiculousness continues to ratchet up. Desk cemented to the ceiling? That is nothing. Blerd got his job when Oz was hired to remove him from the property of William Shatner, who he was stalking. Of course! An obsessed weirdo is a perfect addition to any corporate team! There is another coworker who I guess is supposed to be in HR or a receptionist or something? She has a really weird mouth and kept talking about cookiepuss and how that is supposed to indicate to me “ice cream cake” but it doesn’t and I am confused and disturbed. A running gag is introduced of Cameron’s personal history of being pantsed, as illustrated by another flashback montage. There is a potential love interest on the show with the sassy brunette Melanie, who is the company safe-cracker. However, just as Cameron attempts to ask her out, her boyfriend shows up in a yellow Hummer, wearing Uggs. I thought those were for girls? He is Michael Rosenbaum, who was Lex Luthor on Smallville nine thousand years ago. His name is Dutch and he made Melanie a little house out of matchbooks collected from every restaurant they’ve been to, and he makes mad bank by selling clean pee on the Internet. Delightful fellow, really, and Cameron’s heart is soundly pooped on. Look at how bleached his vetical bangs are. Sign of true love. Now that all the expository and character information is out of the way, they are going to do some work! They have to steal a car from a place and some Mission Impossible style heist things. 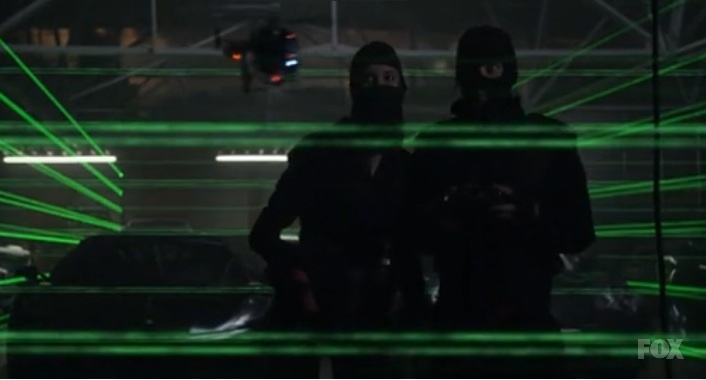 You brought extra batteries for this helicopter, right Ninja? Of course, the plan doesn’t work as well as they like, and Cameron and Trevor (who has Great Deals of Animosity toward Cameron) must work together to fix the problem to make Oz proud, and also work out their issues so they can be happy by the end of 22 minutes. Of course they do, with bad jokes all along the way. There is the slight potential of cleverness on the edge of a lot of the things they do and say, but it is executed so … absurdly and over the top, that it loses its cred almost immediately. I am not sure how I feel about this… it feels like a bit of a mess, but I think it just not be my type of humor. It left me … confused. The last frame after the credits explained everything to me, though. 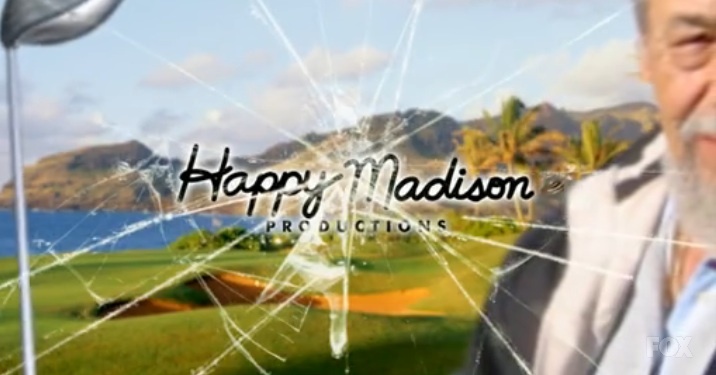 Happy Madison Productions. That explains everything!